Standardized to contain 10% Hyaluronic Acid. 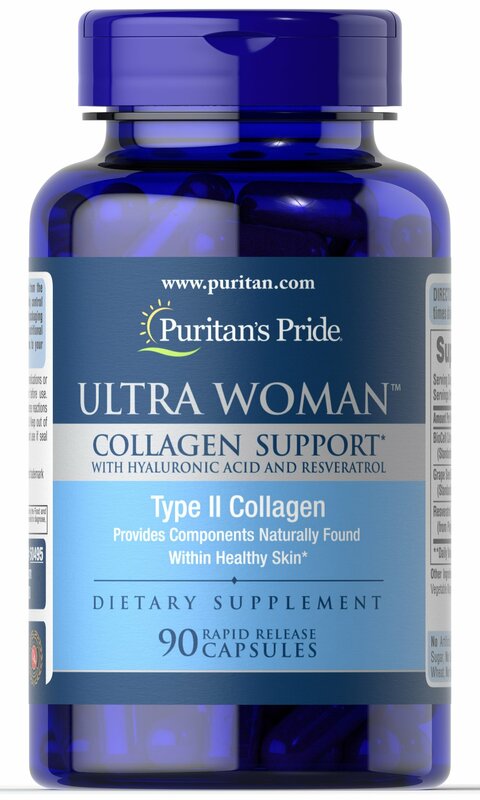 Ultra Woman™ Collagen Support is a dietary supplement that is made up of a complex of nutrients. 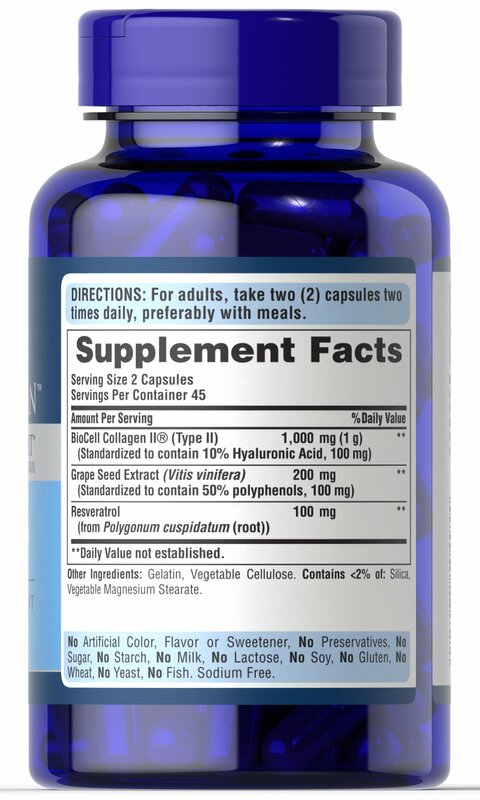 Each serving includes 1,000mg of BioCell Collagen II® which is standardized to contain 10% Hyaluronic Acid, as well as 200mg of Grapeseed Extract and 100mg of Resveratrol. 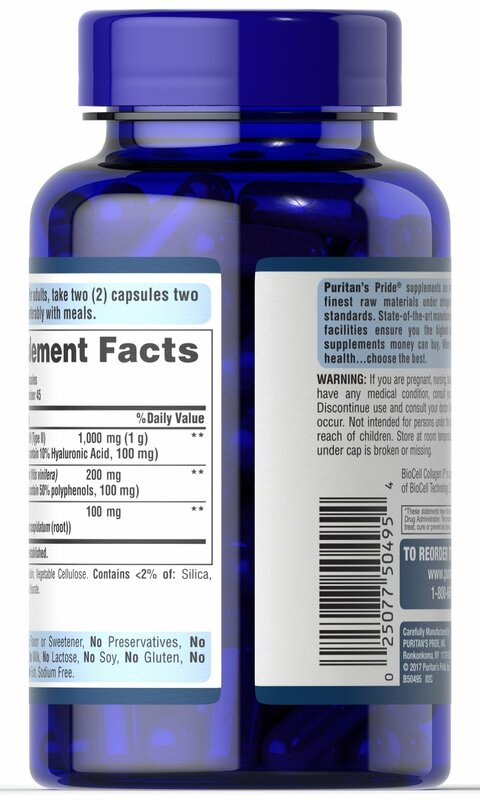 Includes 90 rapid release capsules. 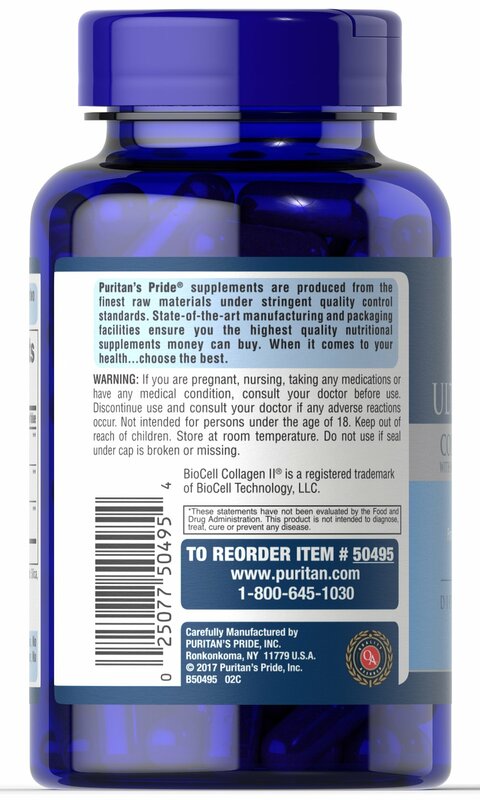 BioCell Collagen II® is a registered trademark of BioCell Technology, LLC.